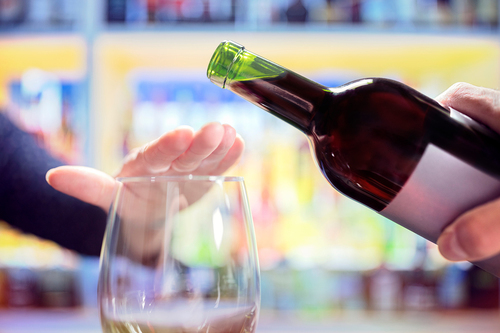 Commenting on the relationship between alcohol and oral health, Professor Escudier said: “Drinking too much alcohol has been linked to an array of oral health problems including oral cancer, tooth decay and tooth erosion. It also increases the chances of accidental trauma or facial injury because of the higher risk of falling or being involved in an accident when people are intoxicated. “High alcohol consumption is known to significantly increase the risk of liver disease and this has a ‘knock-on’ effect for dental treatment. Some commonly prescribed drugs and antibiotics can only be used at lower doses by those who have liver disease – potentially prolonging or reducing the success of dental treatment and, or recovery. Oral cancer: Increased risk of oral cancer is one of the most important effects of high alcohol consumption, particularly when combined with other unhealthy behaviours. It has been estimated those who drink and smoke heavily have 38 times the risk of developing oral cancer as those who abstain from both. Tooth decay: There is evidence to suggest that high alcohol use can increase the risk of tooth decay – alcoholics generally have a higher number of decayed teeth requiring extraction or restoration. Some research also suggests that high alcohol consumption can increase the risk of periodontitis. Tooth erosion: High alcohol use can also increase the risk of tooth erosion – regular consumption of acidic drinks such as wine, cider and alcopops can contribute to this. Accidental dental trauma: Drinking heavily increases the chances of accidental dental trauma or facial injury, for example because of a fall or traffic accident. It has been reported that the new long term plan for the NHS will give help to smokers and problem drinkers who are admitted to hospital in England, to reduce demands on the health service. Alcohol-related harm costs the NHS in England around £3.5bn each year - admissions to hospitals have increased by 17% in the past decade to just over 2% of the total number. But the use of specialist Alcohol Care Teams has seen a significant reduction in A&E attendances, ambulance callouts and readmissions. The teams offer specialist help to patients on how to give up drinking and support to stay off it, which includes written advice, as well as counselling.